By all indications, the lynching of Syed Sharif Khan was the result of an episode of moral panic about the so-called IBI — “illegal Bangladeshi Immigrant” — in Dimapur. Sociologists use the term “moral panic” to describe heightened public anxiety, triggered by media frenzy, about an individual, a minority group or a subculture seen as an imminent threat to social order. The media has always been an active contributor to moral panics. But it seems that in a new media environment that includes mobile phones, the internet and social networks, there can be situations when crime and punishment move from the courts and prisons to the street. And the street can turn into a theatre of the absurd, or reality television of a frightening variety. The lynching of Syed Sharif Khan was the mediated spectacle of capital punishment of a person who — it is now believed — may not have been guilty of any crime. 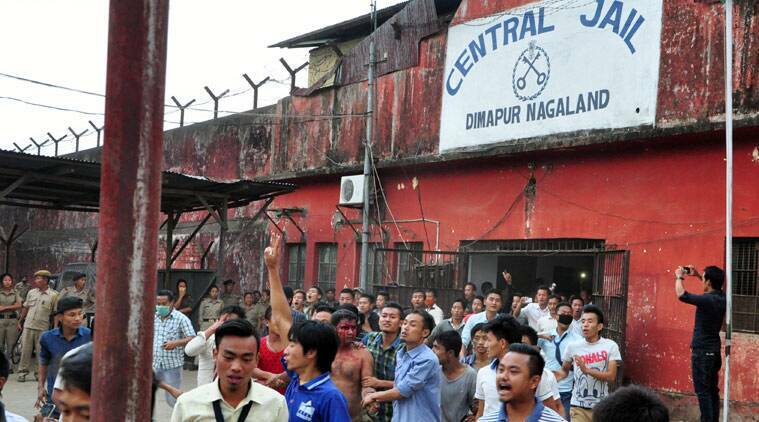 It is not accidental that these horrendous events unfolded in Dimapur. While many in India seem to think of Dimapur as a remote place, historians of World War II know it as an important strategic location. It was the main supply depot for the British 14th Army in its war with the Japanese. That is why capturing Dimapur was an important strategic goal for the Japanese. What made Dimapur so strategic was its railhead. Thanks to a metro-centric bias, we don’t think of places like Dimapur as urban spaces. However, those who study urbanisation in India deeply disagree with the way urban spaces are officially defined. Concepts like subaltern urbanisation or vernacular urbanism, debated among academics, give a sense of the issues involved. In the words of Naga journalist Y. Merina Chishi, Dimapur is “a city of villages”. Even important government buildings like the deputy commissioner’s office are located in “villages”, as are some of the city’s posh areas. In that regard, Dimapur may have a lot in common with the urban villages of Delhi, where many Northeasterners live. But Dimapur is also a city in the important sense that, like many other cities in the world, it is where people have to live with difference and deal with heterogeneity, both cultural and economic. Escaping to the comfort zones of imagined homogeneity is not an option. Dimapur is Nagaland’s only plains district. Its topography explains why Dimapur has the railhead, which was the reason why the Dimapur mauza of what was then the Nowgong district of Assam was transferred to the Naga Hills district in the early part of the last century — giving an opening to a district closed off by the Inner Line. The same railhead made Dimapur strategically important in the last World War. Even today, the railhead gives Dimapur its special economic niche. And since it is in the plains, Dimapur has always been outside the Inner Line regime. It is hardly surprising, then, that it is the state’s economic hub and attracts migrants from other parts of the country (and possibly some from Bangladesh), as well as from the rest of Nagaland. But perhaps it is equally unsurprising that in a state with all other districts closed to settlement by those not from the region, Dimapur should become the focus of fears about so-called IBIs, or about outsiders corrupting Naga society. The growing demographic imbalance between Dimapur, with its growing non-Naga population, and the rest of Nagaland is also a source of significant political consternation. Dimapur has the only general unreserved seat in the Nagaland assembly. The constituency has an electorate that is many times that of other Nagaland constituencies. In 2002, the Delimitation Commission awarded four additional seats to Dimapur based on population shifts. The commission, however, did not get into the potentially explosive issue of whether those seats should be general or reserved. Fortunately, an ordinance in 2008 deferred the delimitation of constituencies in Nagaland till 2031, kicking the proverbial can down the road. Interestingly enough, what worries so many Naga activists and politicians about Dimapur are exactly the things that serious thinkers about northeast India’s economic future find promising. The region’s future prosperity, they believe, lies in the ability to create more Dimapur-like open economic spaces in the hill states of the region. The late B.G. Verghese was a great friend of the Northeast. Something of a futurist when it came to the region — and an eternal optimist — he extolled an implicit Dimapur model in some of his writings. In November 2014, during his trip to the Northeast, Prime Minister Narendra Modi flagged off the first passenger train from Mendipathar in Meghalaya’s North Garo Hills district to Guwahati. In a book published in 1996, Verghese had speculated on what this railway link could do to Meghalaya’s economy. Certain areas, he wrote, including perhaps Mendipathar itself, could be de-reserved or made free zones, “like Dimapur in Nagaland, where ‘outsiders’ may freely invest and settle”. Such a step, he thought, would build confidence and attract capital to the hill state. Elsewhere, he wrote of economic spaces designed for servicing the hills, again modelled on Dimapur. Many of the colonial era institutions that persisted in the Northeast, like the Inner Line, acquired important new functions after the end of the Raj. They have morphed into instruments of protective discrimination. Many benefits have come from these continuities. But the trouble with path dependency is that societies can be locked into dysfunctional institutional arrangements even when better alternatives are available. The difficulty with the Inner Line is rooted its very history. As historian Bodhisattva Kar succinctly puts it, the Inner Line was “not only a territorial exterior of the theatre of capital — it was also a temporal outside of the historical pace of development and progress”. The choice is not between keeping those institutions and abolishing them. Verghese seems to have thought that the Dimapur model, in some ways, provides a way out of the impasse. The hard lesson that Nagaland and the rest of northeast India must draw from the events in Dimapur is that the region must find a way of bringing in a politics that is based not just on the memories of shared ethnic pasts, but on the vision of a common future for those who live in the region today.